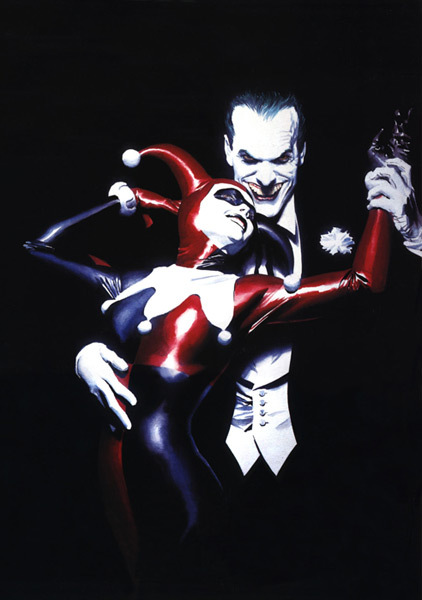 Until January 8 2012 you can catch an exhibition of over 130 pieces from painter Alex Ross’ great comics work. Known for Marvels, Kingdom Come and a whole lot of gorgeous covers over the years, (mainly for Dynamite these days) Ross is a wonderful talent. The Andy Warhol Museum is in Pittsburgh and here’s all the official info. Paintings and sketches from his early career from projects like Marvels and Kingdom Come will be included, as well as works from more recent projects, such as Justice, Flash Gordon, and Green Hornet. Showcasing the heavy influence of American illustration and Pop Art on Alex Ross, works by Andy Warhol, Norman Rockwell, Andrew Loomis, and JC Leyendecker will be included. Many of Lynette Ross’ artworks will be on display as well. Also on view will be Myths prints created by Warhol, featuring many of the subjects of Alex Ross paintings – Superman, Uncle Sam, and the Wicked Witch of the West from The Wizard of Oz. Since Warhol was a huge comic book fan, we will also have a selection of comic books and related paraphernalia collected by Warhol throughout his life. This exhibition will be the first museum exhibition of Ross’ work and will comprise 5,500 square feet of gallery space. Ross has graciously offered to prepare an original artwork for The Warhol to promote this premier, which will be available to the public in poster form exclusively at The Warhol Store.